You know it’s coming. Big commercial brands have been pushing it since October, and yet somehow this most surreptitious of holidays still creeps under your radar. One day you glance at the calendar… and PANIC! Yes, Christmas is just around the corner, and with it the challenge of choosing something different, unusual and thoughtful for your nearest and dearest. Christmas shopping can be stressful, but if you have someone in your life who’s interested in wildlife and nature you’re in luck. We’ve got a great selection of gift suggestions for you. Feeding garden birds is a great way to encourage wildlife into your garden. It helps birds through the colder winter months when food is scarce, and adds a welcome splash of colour and activity. Feeders range from around €5 for a simple plastic affair to €70 plus. More expensive feeders tend to be more robust and will last longer. Choosing a feeder that’s easy to fill, and easy to dismantle for cleaning will pay dividends later. 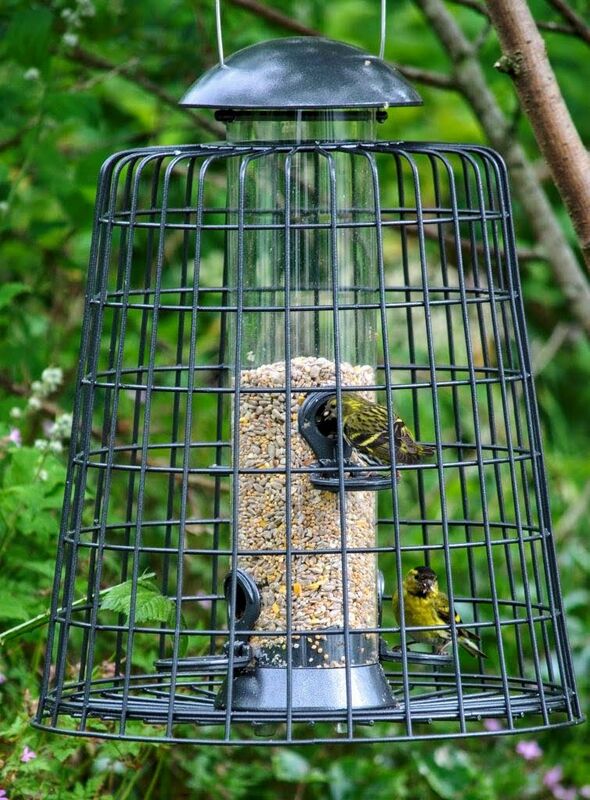 Our favourites are the Apollo range of feeders (€19.99 – €31.99) and the excellent Adventurer 4-port-feeder with Guardian (€65.50), which comes complete with a metal guard cage to keep crows and squirrels away, both available online via CJ Wildlife. A feeder is a great gift, but the eager recipient will want something to put in it on Christmas morning, so it’s a good idea to get a starter pack of bird food to go with it. Opt for a high quality “no-mess” option that minimises waste and offers better overall value. How about decorating your garden and helping birds at the same time? CJ Wildlife offers a range of festive suet shapes in an assortment of colours, including Christmas trees, stars, snowflakes, suet snowmen and more. They look great in the garden, and the birds love them. Ireland in winter can be a tough place for people who love the outdoors… but with the right gear you can get out and enjoy the fresh air, whatever the weather. Outdoor clothing, from hats and gloves to fleeces and high performance waterproofs, always makes a great gift for the wildlife lover. Two important things to consider are colour (drab olives, greys or browns are best) and noise (choose natural, low-rustle material), because when it comes to wildlife the less obtrusive you are the better. A number of companies specialise in outdoor clothing especially tailored for nature enthusiasts — check out the range from Páramo, and Country Innovation. Wellies are probably the most useful footwear there is for an avid wildlife enthusiast — but finding a pair that are comfortable enough to wear in the field all day can be a challenge. Here at Ireland’s Wildlife we’ve been impressed with the high quality Aigle and Muck Boot wellingtons we’ve reviewed in the past. Although we have yet to try them, some of the Rockfish and Evercreatures wellies on sale at Irish online retailer Oh My Welly look particularly suitable for wildlife and nature watching. Vouchers may seem to “miss” the key element of thoughtfulness when it comes to Christmas presents… but a wildlife experience voucher is a bit different. 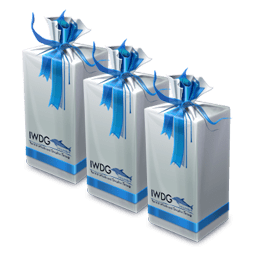 It shows you’re really considering the recipient’s interests, and has the added bonus of giving them something to look forward to in the year ahead. Ireland’s Wildlife offers a range of Discover Wildlife Experience gift vouchers covering everything from a half-day guided wildlife walk through custom wildlife tours to residential wildlife weekends on the West Cork coast. The Irish south coast is one of the best places in Europe to see whales and dolphins, and there’s no better way to experience these iconic marine mammals up-close and personal than with skipper Colin Barnes of Cork Whale Watch off the West Cork Coast — you can buy gift vouchers via the Cork Whale Watch website. Ireland has a number of worthwhile wildlife and conservation charities, and a gift membership or gift pack from any of them can make a great Christmas present. As well as offering a variety of benefits through the year, joining these organisations makes a direct contribution to the conservation of Ireland’s natural world — so it’s a real win-win. For Birdwatch Ireland membership and gift options check out the Birdwatch Ireland shop, The Irish Whale & Dolphin Group has a number of gift-pack options available on its website, as does the Irish Wildlife Trust. Search online for details of other Irish wildlife charities. From identification guides to glossy photo-books to more thoughtful missives on the natural world around us, there’s a huge array of wildlife books available to inspire and delight the nature lover in your life this Christmas. On the field guide front the “Collins Complete Guide to Irish Wildlife” by Paul Sterry (Collins) is a great all-rounder. If birds are more their thing check out “Birds Of Ireland: A Field Guide” by Jim Wilson and Mark Carmody (The Collins Press), or if you want something covering more than just Ireland try the undisputed “birder’s bible” “Collins Bird Guide” (Collins), an exquisitely illustrated guide covering all of Europe, or “Britain’s Birds” (WildGuides / Princeton), a brand new photographic guide covering every species seen in Britain and Ireland. Nick Baker’s “The Complete Naturalist” (Bloomsbury) is a handy guide exploring the how, rather than the what, of nature watching. The naturalist and TV presenter offers advice on essential equipment, and tips on how to get the most out of exploring the natural world. Or how about something more cerebral, like Tim Birkhead’s “The Most Perfect Thing” (Bloomsbury) — which explores the mystery and wonder of that most perfect of things… the bird’s egg. Or perhaps Mike Dilger’s “Nightingales in November” (Bloomsbury) — an exposé of a year in the lives of 12 familiar birds. Closer to home Gordon D’Arcy’s “The Breathing Burren” (The Collin’s Press) is a stunning new book recounting the author and artist’s 30 year love affair with one of Ireland’s most iconic natural landscapes. If a photo book is more your style, then you really can’t go wrong with the most recent portfolio of the iconic Wildlife Photographer of the Year Competition (The British Natural History Museum). Featuring the best wildlife imagery from around the world it’s a book they’ll come back to again and again for the sheer joy of it. Finally, of course, Christmas just wouldn’t be Christmas without a Sir David Attenborough BBC TV series tie-in — “Planet Earth II” by Stephen Moss is available now. 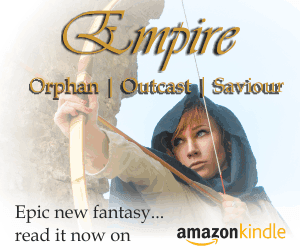 Search for wildlife book inspiration on Amazon. Binoculars are essential wildlife watching tools, and can make a great present, but choosing the right binoculars can be tricky, and we simply don’t have scope to cover everything here. 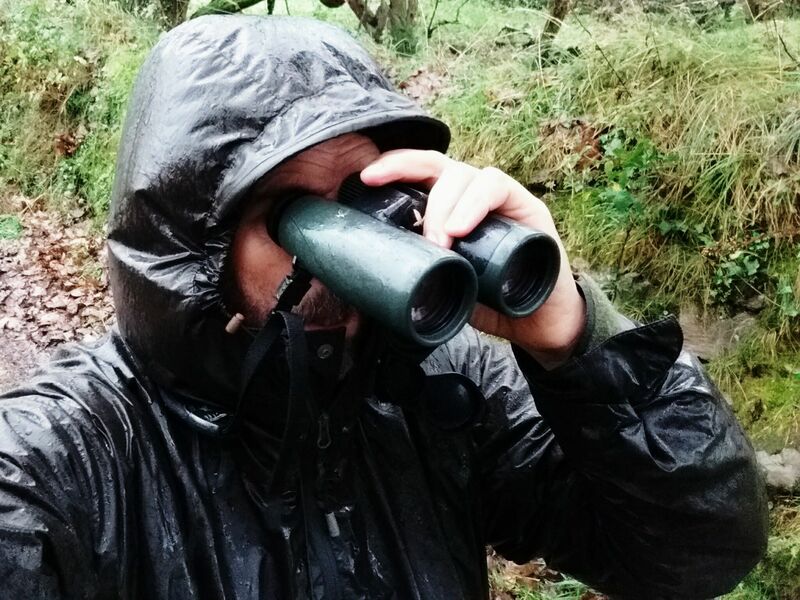 You’ll find lots of practical advice in this article on choosing the right binoculars for wildlife watching and birding, and you can browse through our independent binocular reviews here. Generally look at magnifications from 8x to 10x with objective lens diameters of 32mm to 50mm. Prices range from around €150 (anything cheaper is likely to be rubbish) to €1,500 or more. Good value brands offering great performance that we’ve reviewed here on the site include Hawke, Vanguard and Opticron (from c.€150-c.€600), for “best of the best” performance look to brands like Swarovski, Leica, Carl Zeiss and the little known, but significantly lower cost, Czech company Meopta (€1,000 +++). Whatever you choose to give this year, we hope you enjoy a wild Christmas!